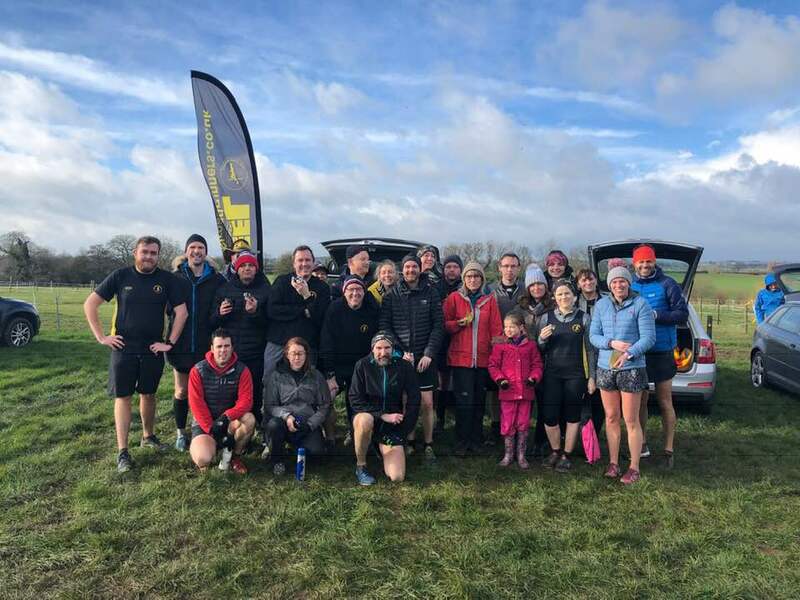 Peel Road Runners have been out in force at marathons across the UK and Ireland over the last 2 weeks. Mike Shelton completed the final race in his 120 mile challenge for Tiny Lives. 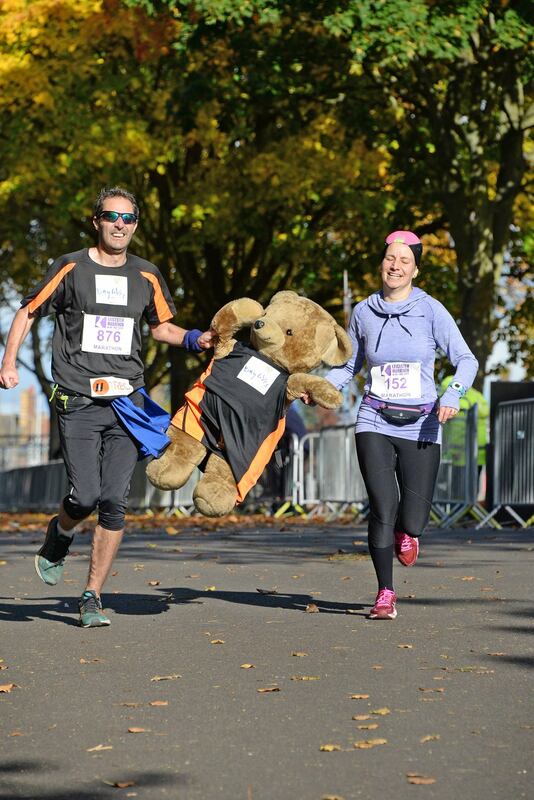 He carried Trev the bear on his back for the 26.2 miles of the Leicester marathon. Mike ran the course in 4:15:42, a fantastic achievement and particularly impressive carrying a large bear. Also in Leicester, Bob Donovan ran the marathon in 4:57:37 and Zoe Schnepp ran the half marathon in 1:57:15. At the Snowdonia half marathon, Tricia Bunn ran the tough course in 3:59:45, securing her an impressive 13th position in her category. Richie Bunn crossed the line shortly afterwards in 4:00:15. Tim Mudd and Carolyne Browne both took part in the Dublin marathon. Tim crossed the line in 4:22:10 and Carolyne finished the course in 4:30:24. At the Abbots Bromley 10k, Lisa Fletcher achieved a personal best, finishing the course in 55:55 mins. As always, the Peelers supported the local Kingsbury Water Parkrun, both running and volunteering. Malcolm Bembridge was the first Peeler home with a time of 21:07 mins. Stuart Hatton ran the course in 21:51 mins and Joanne Harvey was the 6th lady in 24:12 mins. Darren Truman finished the 5k in 24:27, followed by Robert Hirst in 24:49 mins. Rachael Rickards crossed the line in 27:54 mins and Liz Morgan finished in 29:00 mins.